The gateway to Benin for most visitors, Porto Novo, Benin's laidback capital, is home to some exquisite examples of colonial and pre-colonial architecture, not least the Brazilian-style Big Mosque. Other attractions of note include the eclectic Musée da Silva, which offers a brief history of Benin, and the Porto Novo Museum of Ethnography. Royalists might want to head to King Toffa's Palace, where the Musée Honmé reveals the secrets of local royalty. Natitingou's regional museum provides an impression of life for Benin's Somba communities that primarily inhabit the northeast of the country. Located within an elegant colonial structure previously used by local government, exhibits relate to archaeology, history and art. The habitat room has examples of traditional Somba homes. Set between the Atlantic Ocean and Lac Nokoué, Cotonou is Benin's largest and most important city. Its market, the sprawling Dantokpa, covers a whopping 20 hectares (49 acres) and sells everything from toothbrushes to fresh fruit – a great way to experience the city. The nearby Foundation Zinsou, which promotes modern African art, is also well worth a visit. The dusty city of Abomey is home to the eponymous Abomey Historical Museum, which offers an insight into the history of the Abomey Kingdom and contains a throne made of human skulls. Whilst you're in town, pay a visit to the opulent royal palaces, swing by the Fetish Temple and peruse the local wares at the Centre Artisanal. Ouidah was once a major centre for the slave trade, a place where slaves were led from the Portuguese Fort (now a museum) along a 4km (2.5 mile) sandy track to waiting ships that would take them across the Atlantic. Today the track is lined with poignant memorials such as the Tree of Forgetfulness. The path ends at the Door of No Return memorial arch. A cultural centre and artists' residence, Villa Karo in Grand Popo is a Finnish-African project that aims to improve understanding between cultures. The centre puts on a range of events including art exhibitions, film screenings and concerts and is a great way to get involved with the local community, which relies largely on its modest fishing industry. See a wide range of wildlife including cheetahs, hippos and crocodiles at Benin's two national parks. Though celebrated for its diverse landscapes and big game, Pendjari National Park is mostly vaunted for its varied birdlife. The UNESCO-listed W National Park provides a home for some of West Africa's last wild elephants and straddles the frontier between Benin, Niger and Burkina Faso. 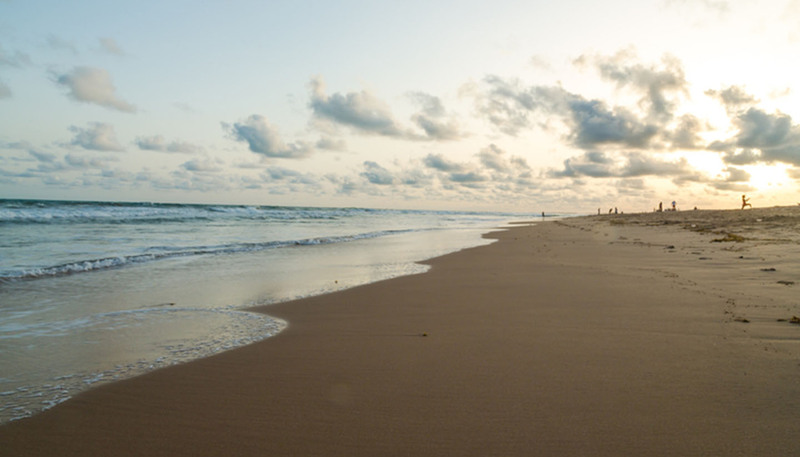 Although beaches are strung all along Benin's 120km (75 mile) Atlantic coastline, the best quality sands are found at Grand Popo and Ouidah. Facilities for water sports on the coast are limited, though it's possible to sail at the Yacht Club in Cotonou, or hire a dug-out canoe or motorboat on Lac Nakoué. The isolated 20m-high (65ft) waterfalls at Kota provide a relaxed and secluded pool to take a refreshing dip, and an idyllic setting to while away an afternoon with a picnic. Accommodation makes it possible to stay overnight, and enjoy the solitude and romanticism even longer. Floating in Lac Nokoué, and only accessible by boat, the stilt village of Ganvie is home to a staggering 20,000 people. A fully-fledged and atmospheric town, it was constructed sometime between the 16th and 17th centuries as a safe haven for the Tofino people against local slave traders.